NextEra had good results relative to a group of peers in a factor-based analysis. NextEra has an appealing profitability and income profile. Its price momentum looks decent, with a caveat. Its relatively small size (a small mid-cap) coupled with its industry (renewable energy) further weight the odds that this company could be a strong performer in the future. If you want in on renewable energy, we recommend NextEra. I created a portfolio of stocks in the alternative energy sector, looking specifically for companies with a market cap over $1B but less than $4B. This is a sweet spot that offers strong potential for growth but is also substantial enough not to be too speculative. 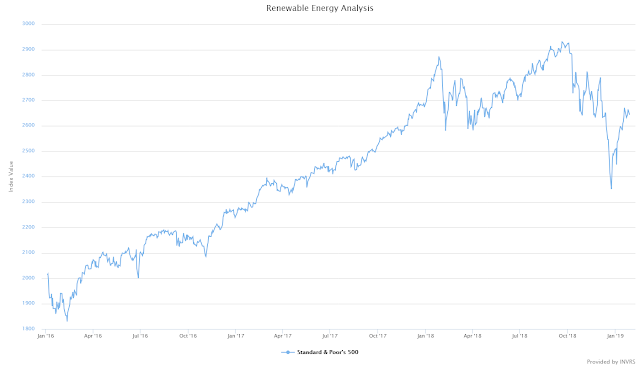 It's my believe that alternative energy is on the ascendance, where as fossil fuels will inevitably decline (NextEra isn't a pure play in this regard however, natural gas assets are part of its portfolio). If you share this belief and you want exposure to this market, NextEra looks like a good bet. This is a factor-based analysis on seven companies in the alternative energy sector. It looks at momentum, quality, growth, income, value and profitability. Each factor includes several metrics. Each metric is rated from 1 to 7 with 7 representing the best result. The sum of each metric rank is calculated and the result is ranked again. The highest ranking indicates the company with the best result for the particular factor. Here is the group of candidates and a brief overview of each one. Northland Power Inc. develops, builds, owns, and manages wind facilities. It operates through the following segments: Offshore Wind, Thermal, On-shore Renewables, and Other. The Offshore Wind segment comprises Gemini, Nordsee One, and Deutsche Bucht projects. The Other segment includes investment income and administration activities. The company was founded by James C. Temerty in 1987 and is headquartered in Toronto, Canada. TerraForm Power, Inc. acquires renewable energy assets. It operates through Solar and Wind segments. The Solar segment consists of Distributed Generation, North America Utility, and International Utility. The Wind segment comprises of Northeast Wind, Central Wind and Hawaii Wind. The company was founded on January 15, 2014 and is headquartered in Bethesda, MD. NextEra Energy Partners LP acquires, manages and owns contracted clean energy projects with long-term cash flows. It owns interests in wind and solar projects in North America, as well as natural gas infrastructure assets in Texas. The company was founded on March 6, 2014 and is headquartered in Juno Beach, FL. Ormat Technologies, Inc. is a holding company in the geothermal and recovered energy power business. It operates through the Electricity and Products segments. 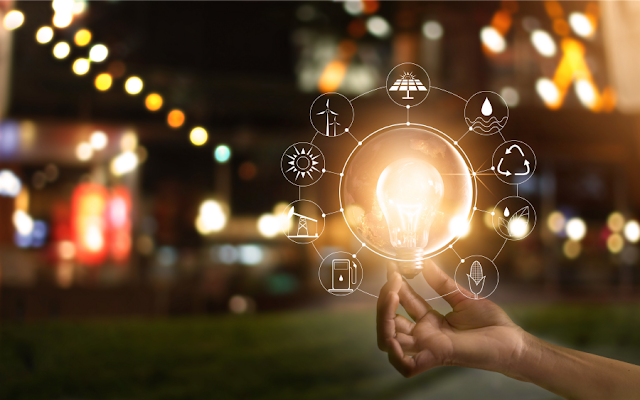 The Electricity segment develops, builds, owns, and operates geothermal and recovered energy-based power plants in the U.S. and geothermal power plants in other countries. It provides energy storage, demand response, and energy management related services through its Viridity business. The Product segment designs, manufactures, and sells equipment for geothermal and recovered energy-based electricity generation and remote power units. It also provides services related to the engineering, procurement, construction, operation and maintenance of geothermal and recovered energy-based power plants. The company was founded in 1965 and is headquartered in Reno, NV. Pattern Energy Group, Inc. is an independent power company, which owns and operates wind and solar power facilities sales contracts. It operates through the following geographical segments: United States, Canada, and Chile. The company was founded on October 2, 2012 and is headquartered in San Francisco, CA. Innergex Renewable Energy, Inc. develops, acquires, owns and operates run-of-river hydroelectric facilities, wind farms, solar photovoltaic farms and geothermal power generation plants. The company conducts operations in Canada, the United States, France and Iceland. It operates through the following segments: Hydroelectric Generation, Wind Power Generation, Solar Power Generation, and Site Development. The company was founded on October 25, 2002 and is headquartered in Longueuil, Canada. Atlantica Yield Plc owns, manages and acquires renewable energy. It specializes in Renewable Energy, Natural Gas, Electrical Transmission and Water. The Renewable Energy segment includes production electricity from solar power and wind plants. The Natural Gas segment is the production of electricity and steam from natural gas. The Electric Transmission segment relates to the operation of electric transmission lines. The Water segment is responsible for desalination plants related activities. It operates through the following geographical segments: North America; South Africa; and Europe, the Middle East and Africa. The company was founded on December 17, 2013 and is headquartered in Brentford, United Kingdom. The following section describes the analysis process and objective observations of the results. Head down to the "Putting It All Together" if you just want to read the synthesis and why I think NEP is the strongest contender of the group. Let's start by getting a visual perspective on how the market and sector have been performing. 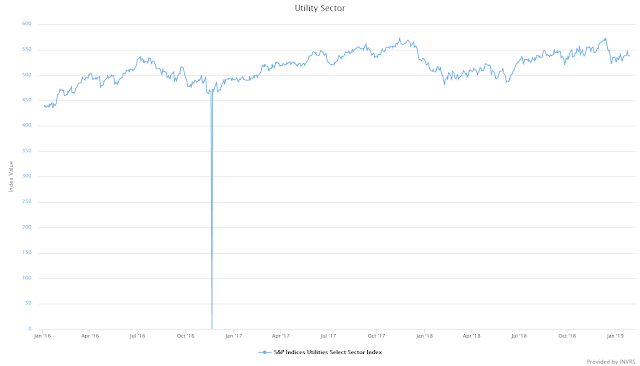 A quick calculation reveals that the broader market increased about 30% compared to the utility sector increased 22% with less volatility over this randomly chosen time period. Looking at the market over the longer time frame, momentum is positive. Over the medium term, there's a wave of negative momentum rolling through but it looks to be slowing down, as the short term price momentum is barely negative. In the utilities sector, we see strong positive price momentum weakening as we move into the medium term, yet still remaining positive. In the short term the momentum is weakly bearish, similar to the market. Price less 10 week moving average change. PEGI got the best overall score, however each investor should consider other momentum profiles for ones that might be more suited to their investing objectives. I find NEP to be more attractive with its very strong long term momentum. It is negative in the medium and short term and be aware that the short-term is more negative than the medium term, possibly indicating the negative momentum could be accelerating. NPIFF and ORA tied for the highest quality score, followed by NEP and AY. It's important to note that the lower the leverage (both financial and operational) the better the score. That's the quality consideration, but that isn't necessarily what you might want as an investor. My opinion is some leverage is good. Looking at the top four candidates, they all had a decent blend of leverage. NPIFF is clearly the stock with the best growth. Not every share offers a dividend, and dividends aren't important to every investor. Weight this factor as you will. PEGI has the best score for income. AY has the highest score for value, however it has negative earnings. Some investors might wish to confine their search to companies with positive earnings, in which case NEP would be the best candidate. NIPFF and ORA are tied for the most profitable companies. Let's summarize what we've learned. This is more than the score, this is interpreting the results and bringing our personal observations and preferences into the mix. The utilities sector displays less price volatility than the overall market and is showing less negative price momentum. PEGI received the best momentum score, but I preferred the NEP's results with the very strong long term momentum. It was bearish in the medium & short term, but it was fairly weak. However, the trend in it's momentum could be deteriorating. AY had the highest quality score, but looking at the next two, NEP and NPIFF (with a tied score), I like the look of NEP. Some leverage is a good thing, but maybe not a high degree in both operating and financial. NPIFF is highly leveraged in both categories, but NEP only in operating. It was actually the most conservative from a financial leverage perspective. NPIFF is showing excellent growth results. It came in number one and I like it more than I like the next highest growth company (NEP) as it didn't grow consistently across all categories. In the income cagtegory, PEGI is the best. NEP is good too, but I want to look at income in conjunction with profitability, which we'll get to shortly. AY offers the best value, but if you need positive earnings, NEP is the obvious choice. Note, in the world of factor investing, value tends to outperform growth over the long term. NEP scores well in both. As mentioned, NPIFF and ORA are the most profitable. PEGI, with the best income score was the second worst company from a profitability perspective. NEP, which scored well in income, is actually the second most profitable company (after the two that tied). If income is an important consideration then NEP is a better bet. NEP didn't come out with the top score in any of the categories, but when I look deeper into the numbers, it's appealing to me as an investor and I find interesting that it performed well across most of the factors interesting. This model was created in INVRS. Create anything you want in INVRS, have fun doing it and get insight no one else has. Sign up for a free trial today.